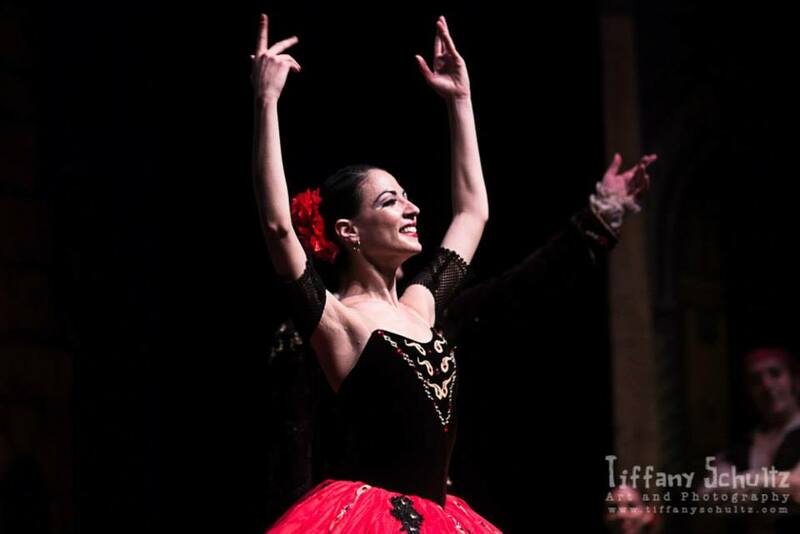 Born in Matanzas, Cuba, Arianne Lafita Gonzálvez graduated as a professional dancer – lecturer at the Escuela Nacional de Arte (ENA), Havana, Cuba and she has been a member of the International Dance Council CID UNESCO, Athens, Greece since 2010. 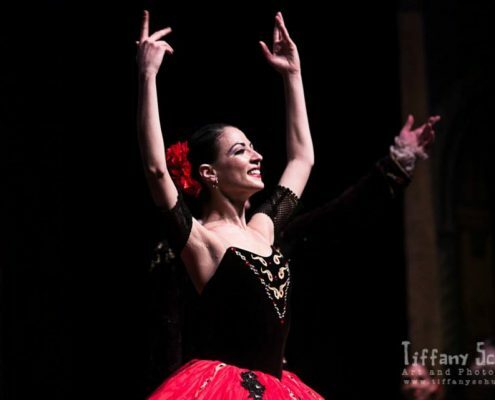 In her career she received several awards including: gold medal at the International Ballet Competitions Havana in 1999, silver medal in 2000 and bronze medal in 2002. 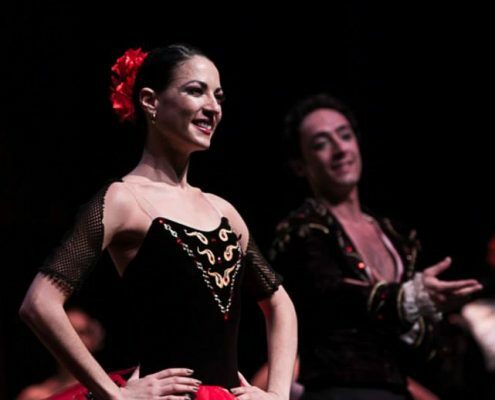 Arianne started her career with the Ballet Nacional de Cuba, under the instruction of Alicia Alonso and in 2005 she becomes prima ballerina at the “Ballet de Cuba” of Laura Alonso. 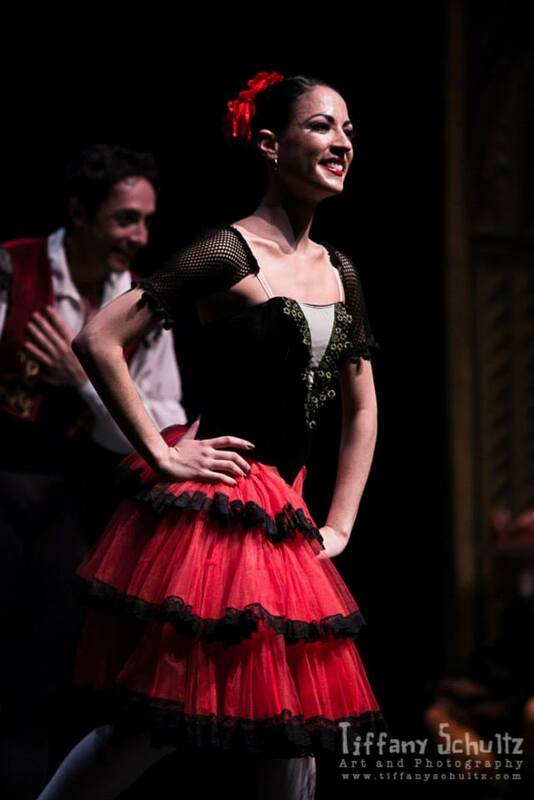 In 2009 she transferred to Spain where she joined the ballet “Victor Ullate Comunidad de Madrid“. 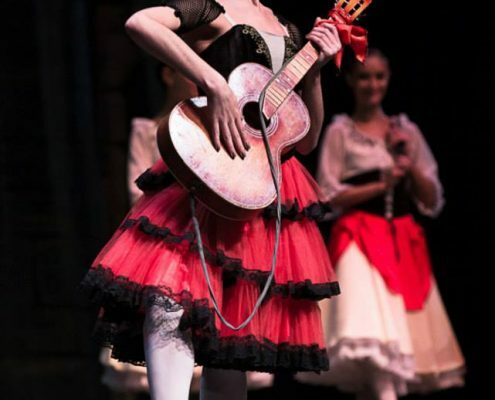 With the Ballet Nacional de Cuba she has performed: The Carnival of Venice, After the Flood, Time Danzon, Swan Lake, Cinderella, Shakespeare and his masks and Paquita. 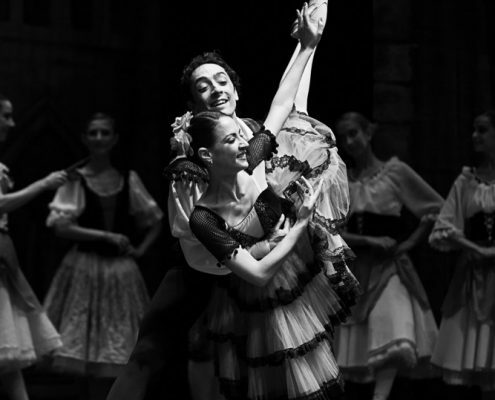 With the Ballet of Cuba “Laura Alonso“ she performed as a principal dancer in: Swan Lake (Odet-Odile) Pas de troi in the Swan Lake 1st act, Don Quixote (Kitri), Dracula (Isabel), Les Sylphides, Paquita, Medora in “Le Corsaire”, Le Chevalier de St. George, Yarini (the lady of the veil) A Night of Avalon. 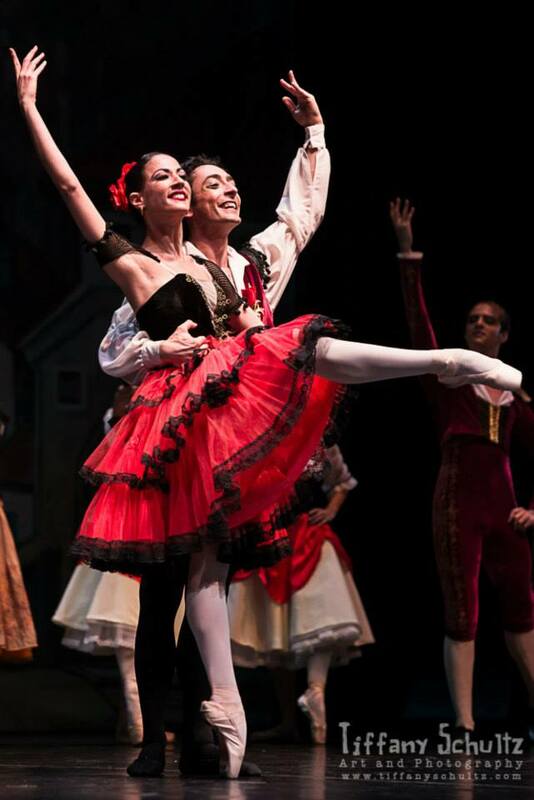 In the repertoire of Arianne there are also pas de deux from: Red Bhakti the Maurice Bellart, Nutcracker, Presence, Carnival of Venice, Coppelia , Momentum, Red Rose, Chaicovsky pas de deux, variation of Rita, Flames of Paris, Arlequinade, Giselle (pas de deux 2nd act), The merchant and slave (pas de deux in Le Corsaire, 1st act) Sleeping Beauty, Le fille Mal gardèe and as part of the Ballet of “Victor Ullate comunidad de Madrid” in Spain she has danced: Samsara, Beethoven, Wonderland, The Art of Dance, Jaleos. 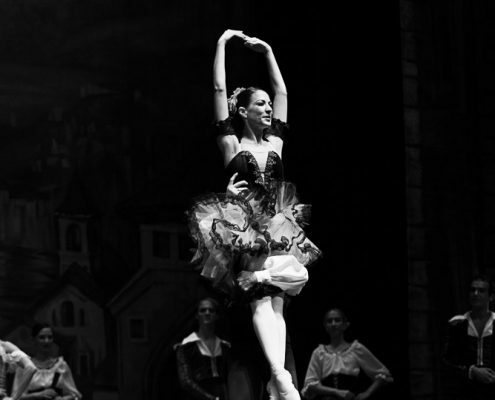 Arianne was a guest dancer at various gala performances in the world. 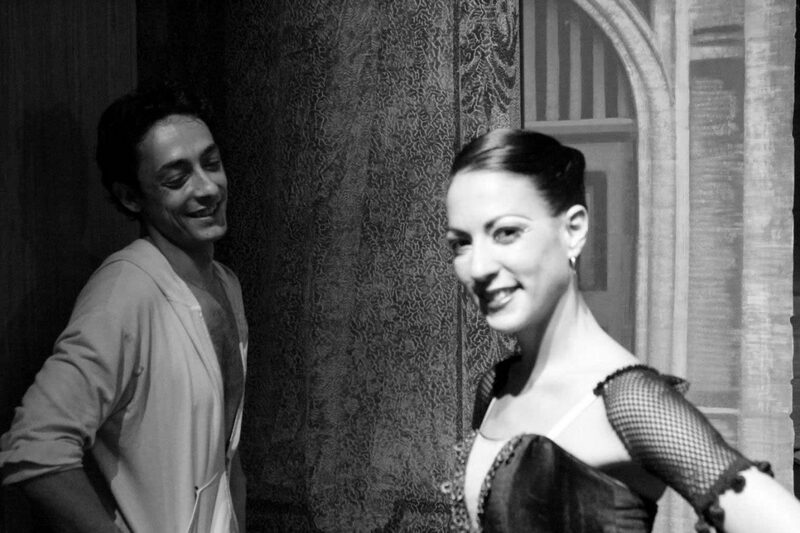 In March 2011 she attended the gala “Thanks Rudy” in Milan as tribute to Nureyev, then, in July, in Barcelona, attended the “Gala de Danza Barcelona 2011” and in the same month she got invited at the Spoleto Festival 2011 Gala Dance in “The Value of Life” by Alberto Testa. 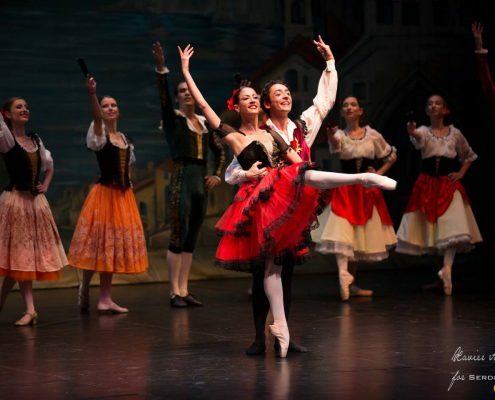 In August that year she received the Lifetime Achievement Award at the Festival of Loano 2011 and following that month, in September, she got invited to the XVI International ballet Festival of Miami. 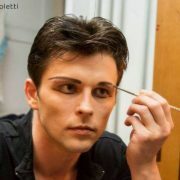 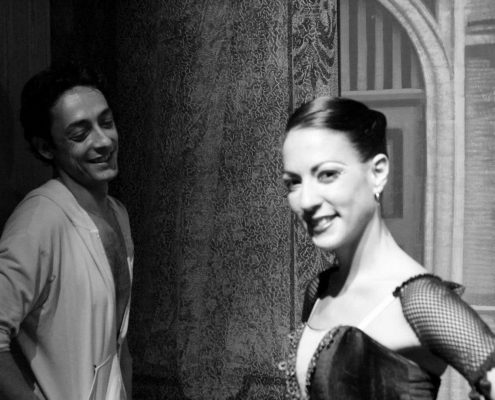 In December 2011 she was a guest dancer at ” Ballet gala city of Salerno “ in Verdi Theater. 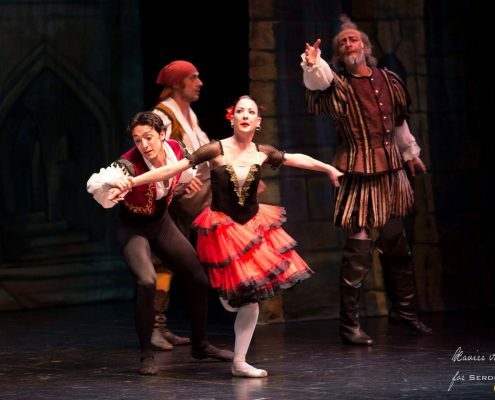 In January 2012 she danced in ”Dance gala city of Tourin”. 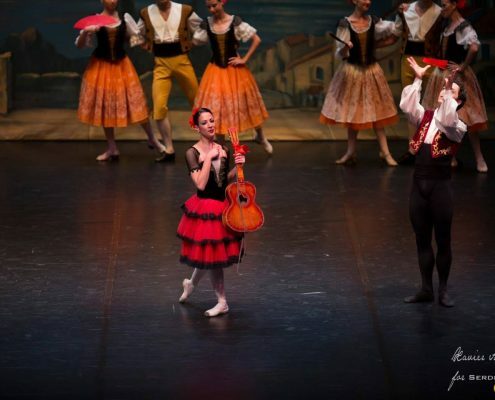 In March 2012 she was invited to the Closing Gala of international ballet competition ”CITY OF SPOLETO 2012“. 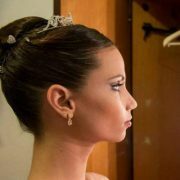 In April 2012 she was invited as a prima ballerina in TENERIFE in “Tchaikovsky passion“, ne pas de deux of “SCIACCIANOCI” and “Sleeping Beauty” 3rd act. 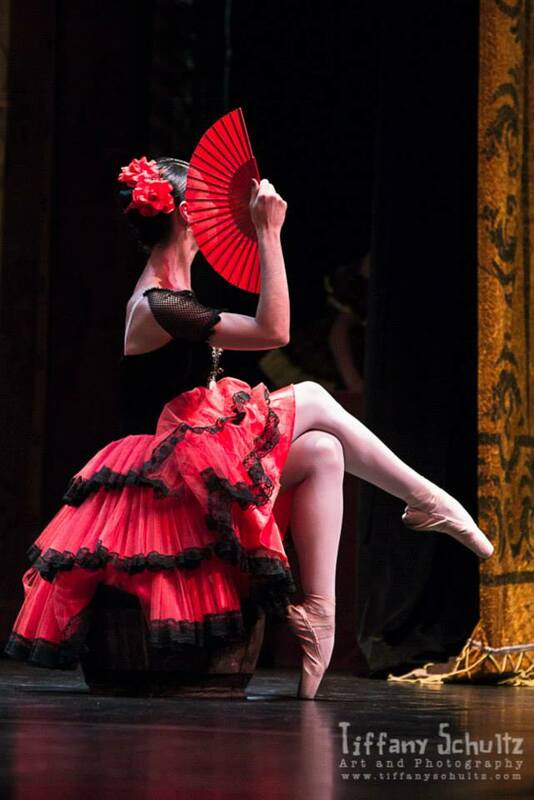 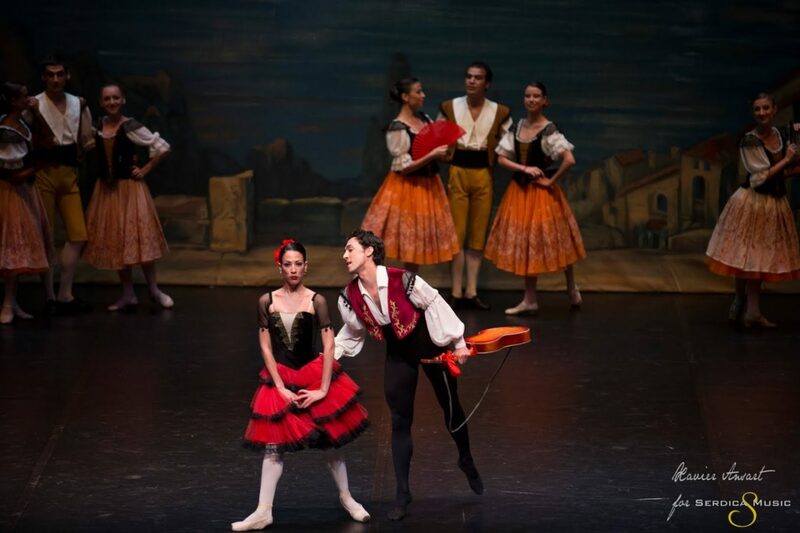 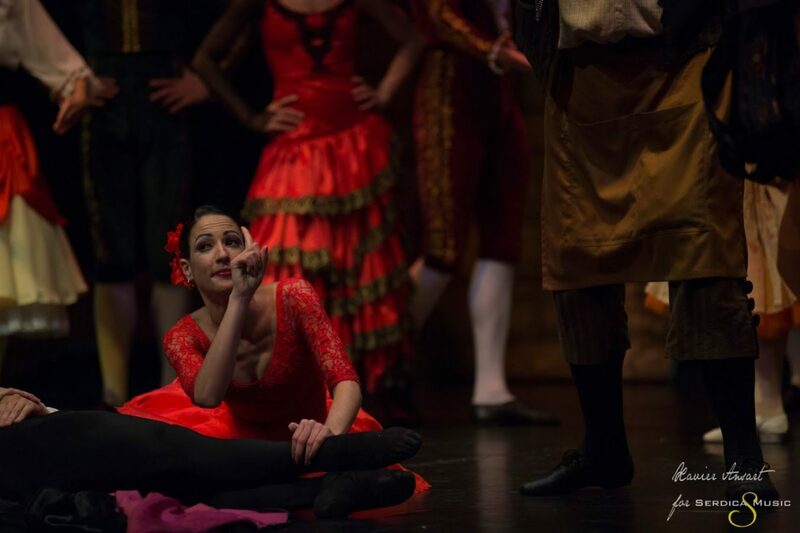 In June 2012 she was invited in Opera Roma for dancing Kitri in suite of Don Quijote for gala program. 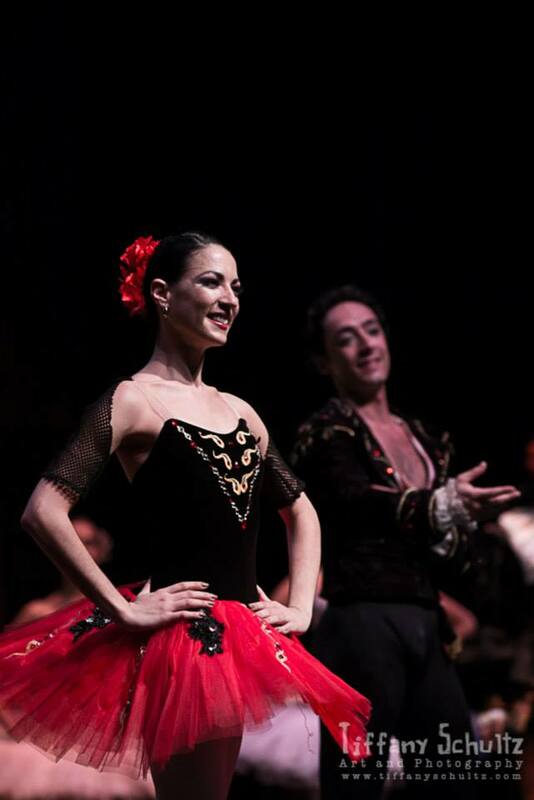 In august 2012 she was invited to perform at the “GALA DI STELLE” in Ascoli, Rome, as Cremona under the direction of Raffaele Paganini e Carla Fracci and on 25 of August Arianna danced at the “2nd GALA DE DANZA BRASIL” in Poulina and on 1st of September she received the GRAND PRIX OF TALENT at the International festival of Loano, Italy. 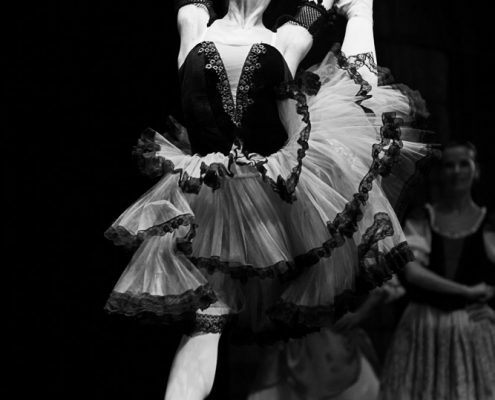 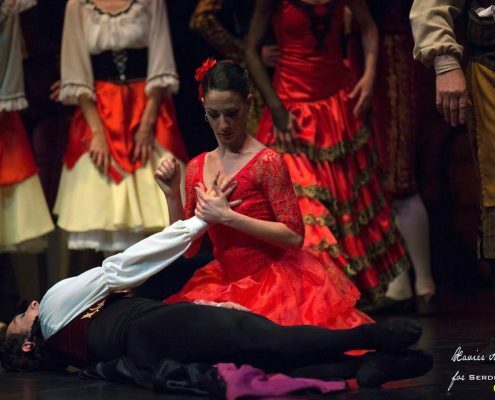 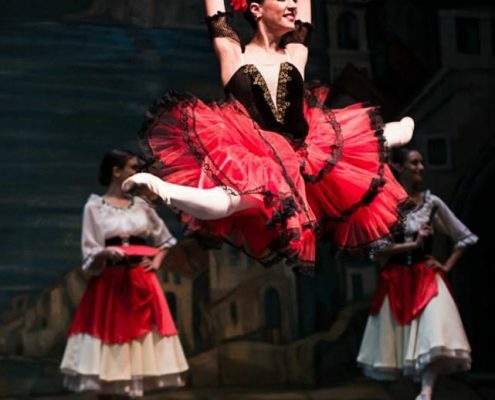 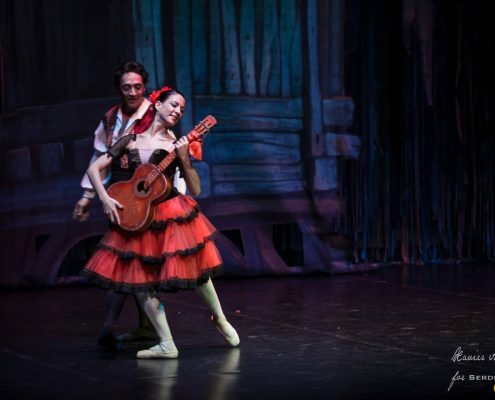 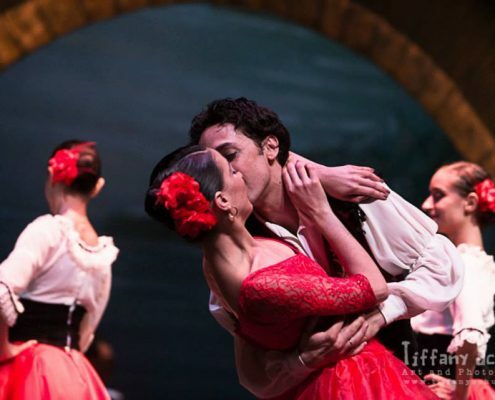 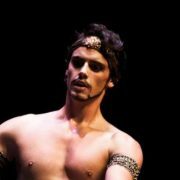 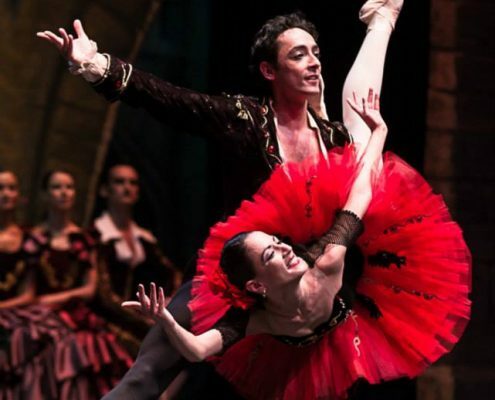 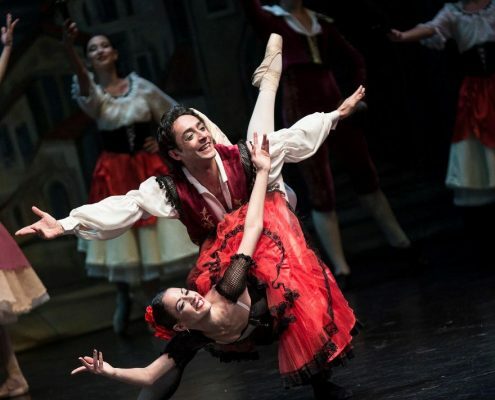 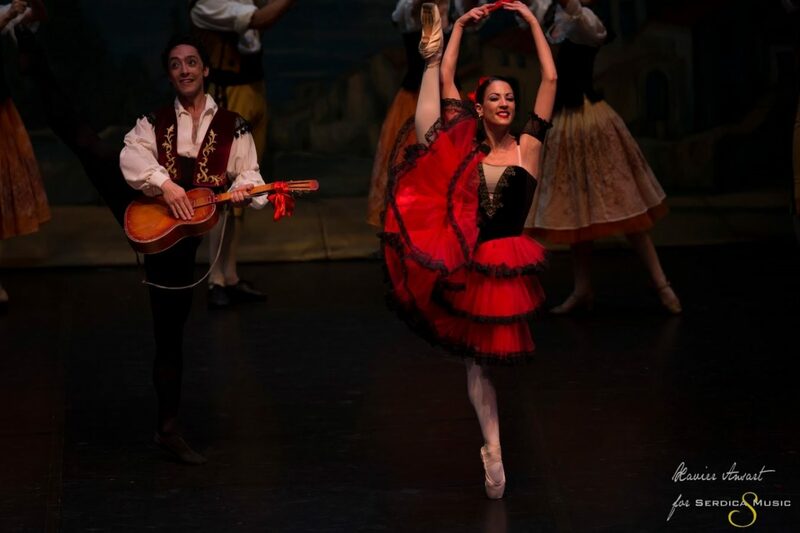 November 2012 Arianne is invited at Bucharest Opera House as guest dancer in full ballet Kitri, Don Quixote. 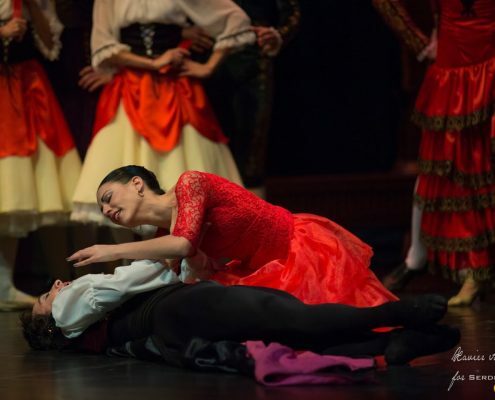 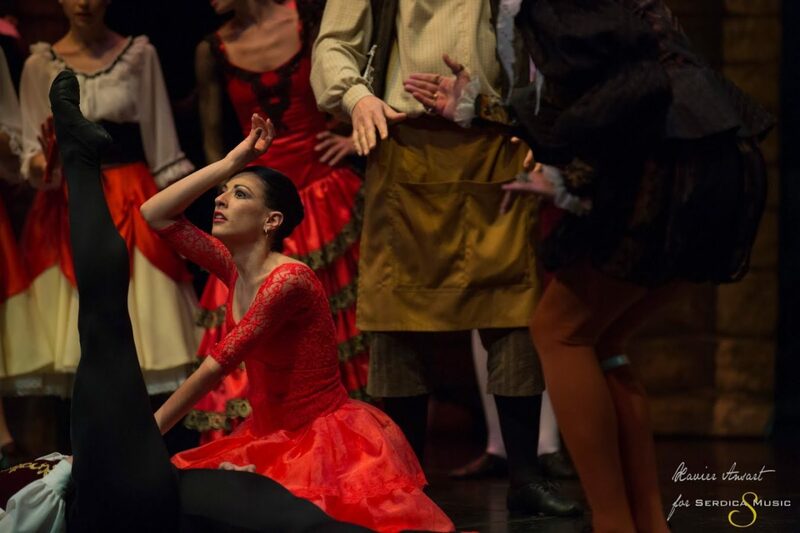 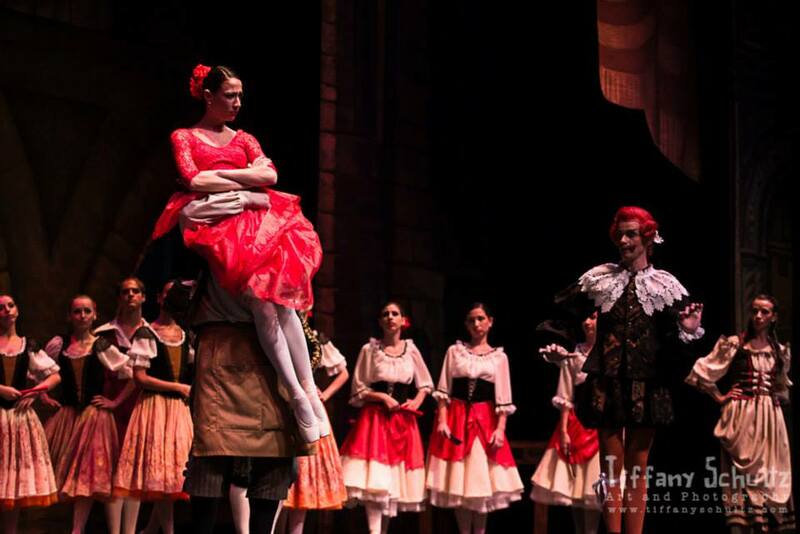 April 2013 is invited at the State Opera Ruse, Bulgaria to, as well, dance Kitri in Don Quixote. 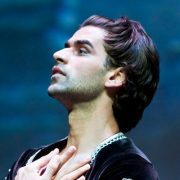 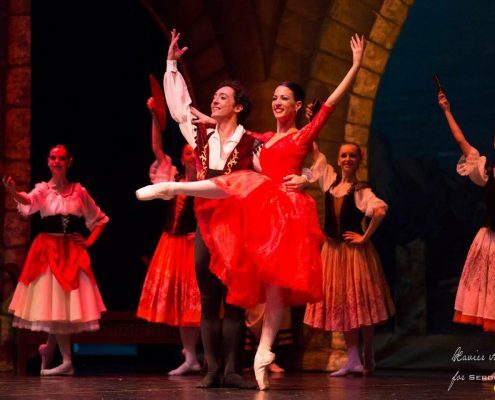 April 2013 with National Ballet of Sofia, is invited in tour to Dubai to dance Kitri in Don Quixote, and Giselle in Giselle. 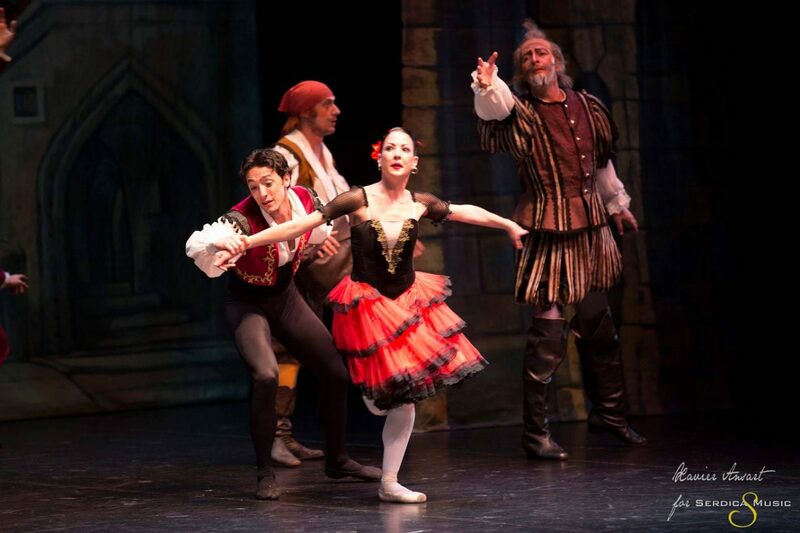 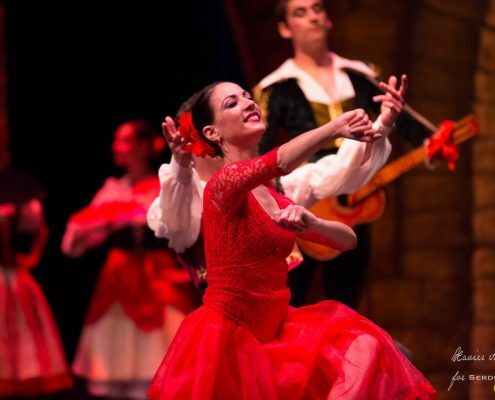 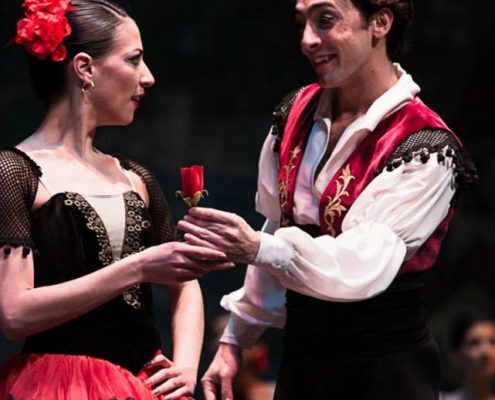 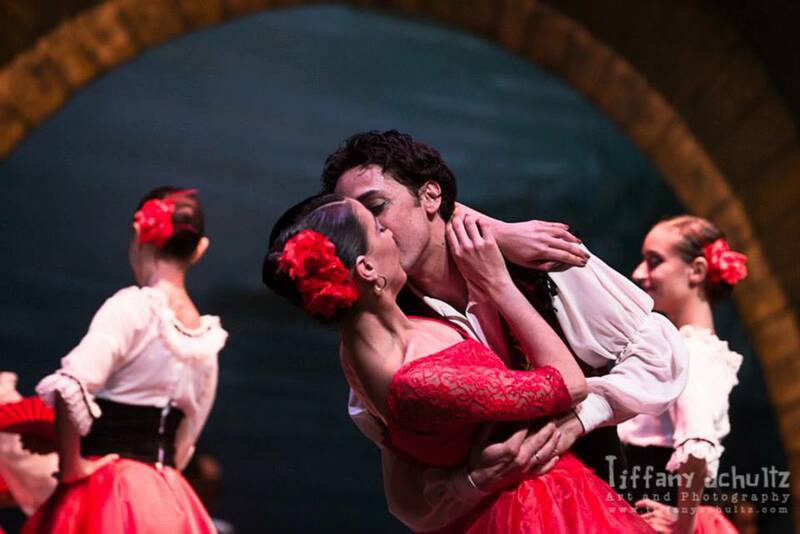 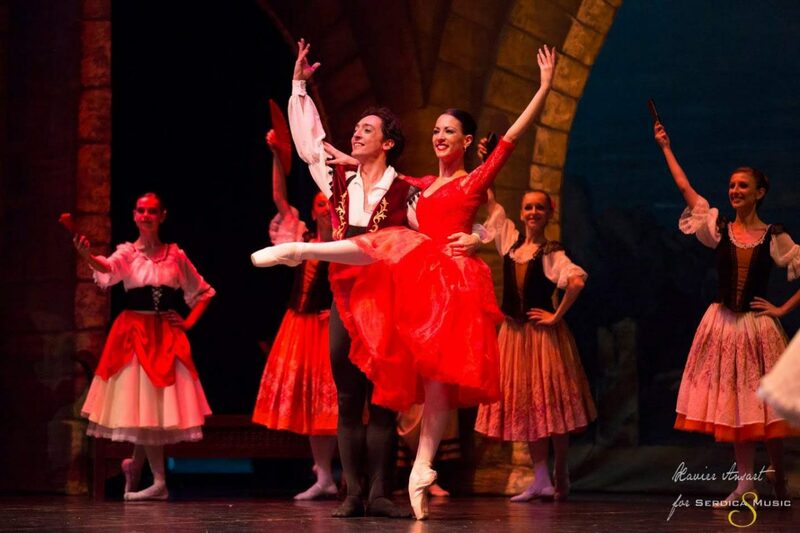 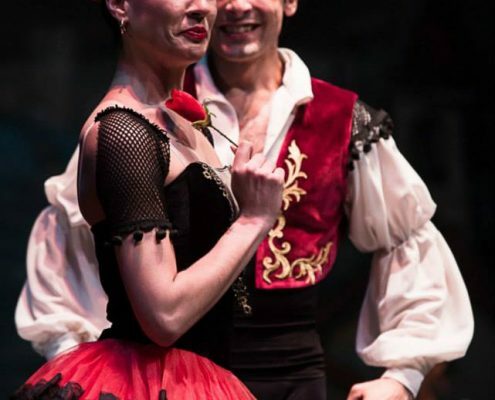 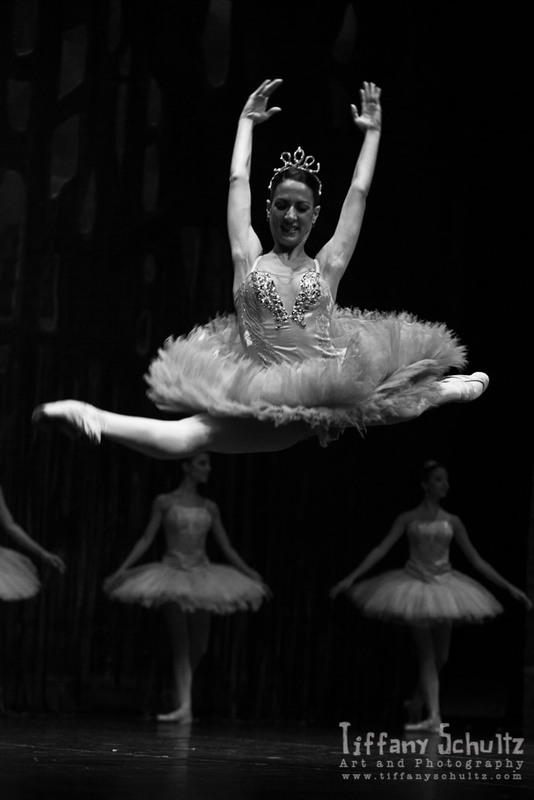 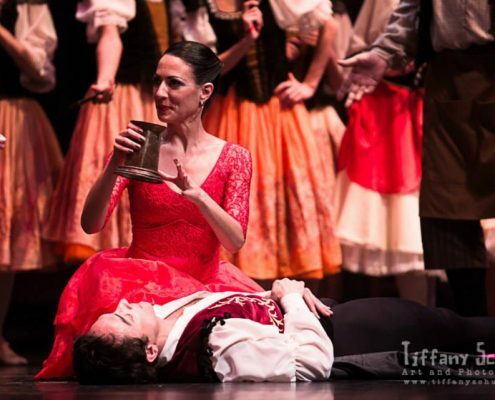 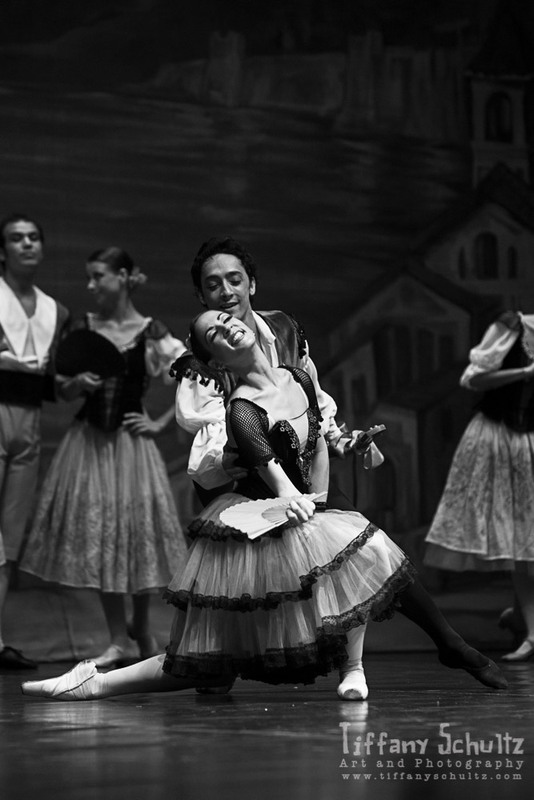 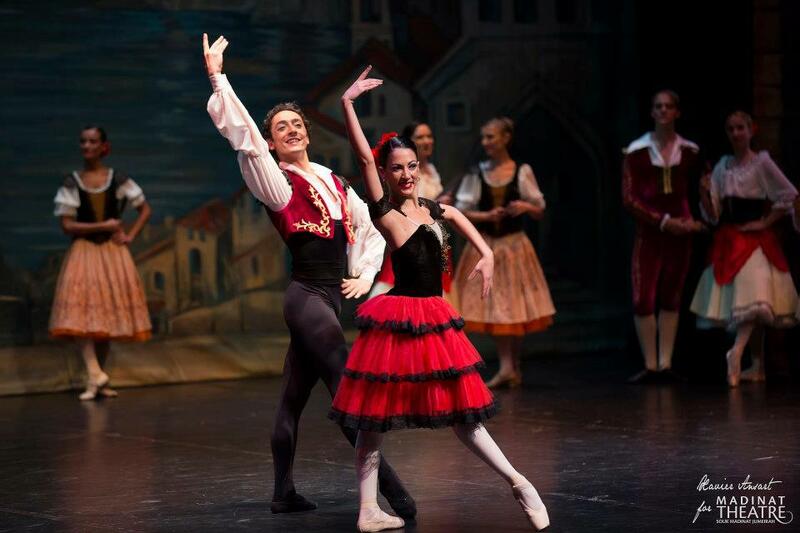 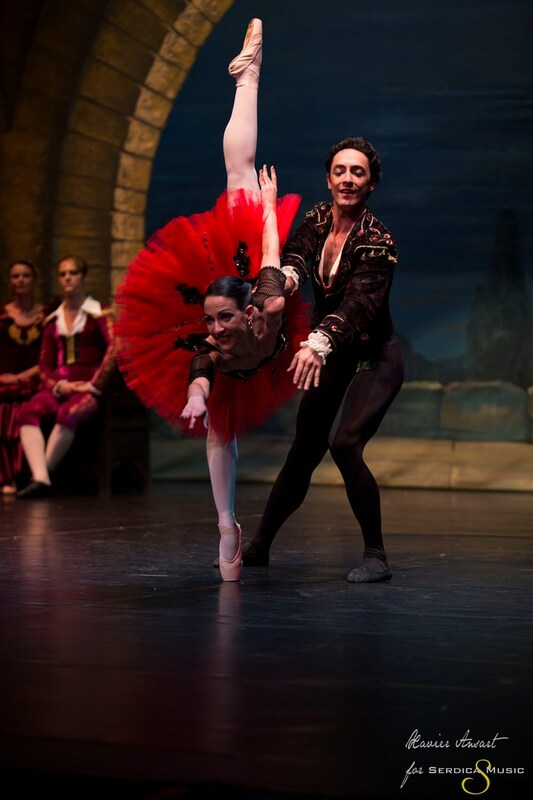 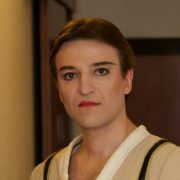 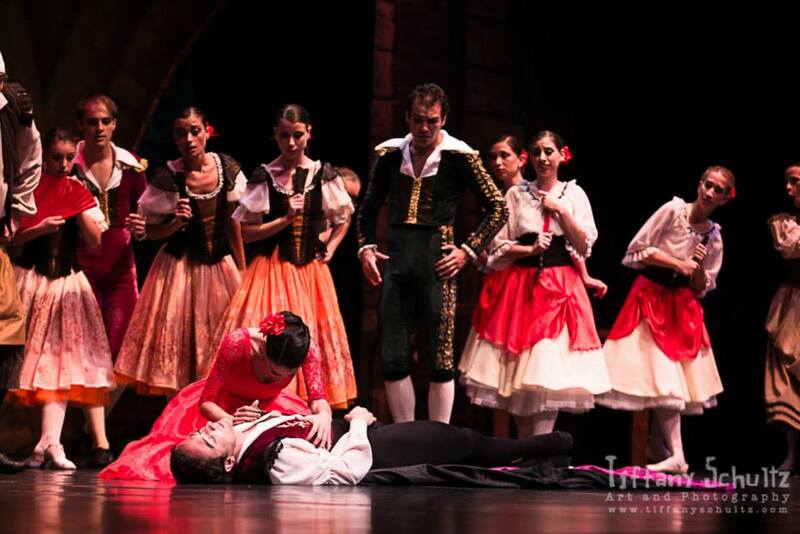 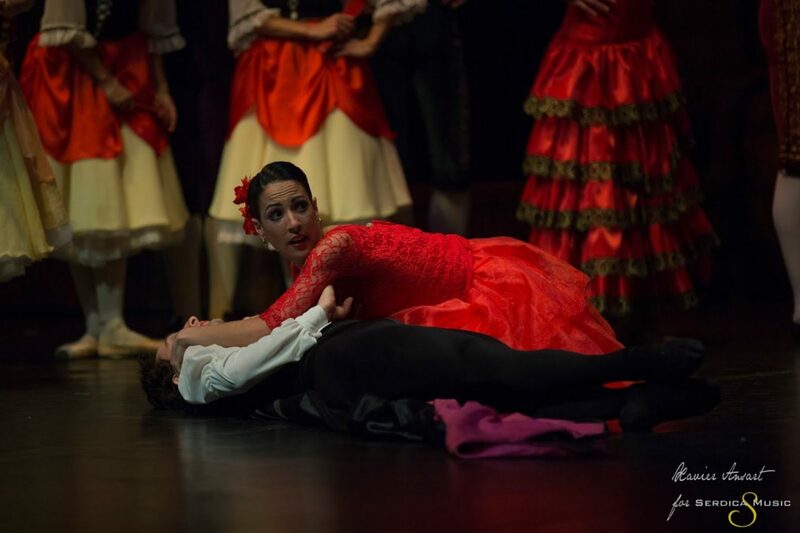 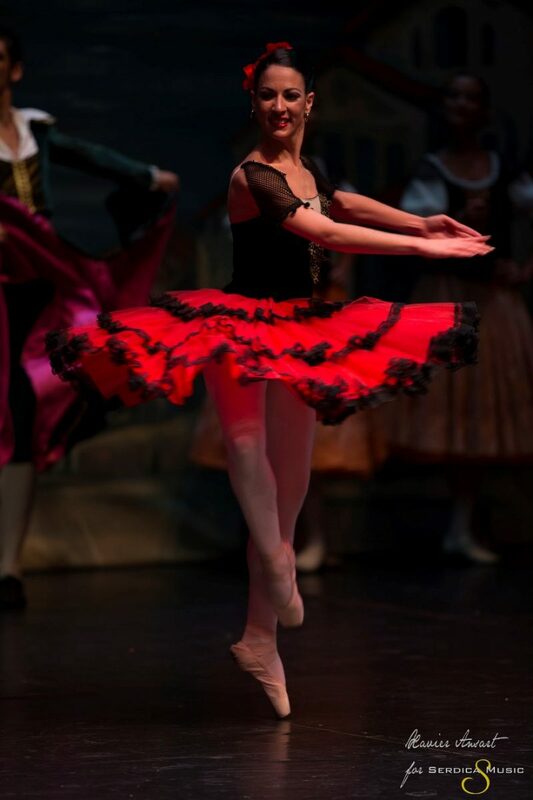 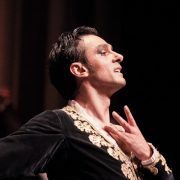 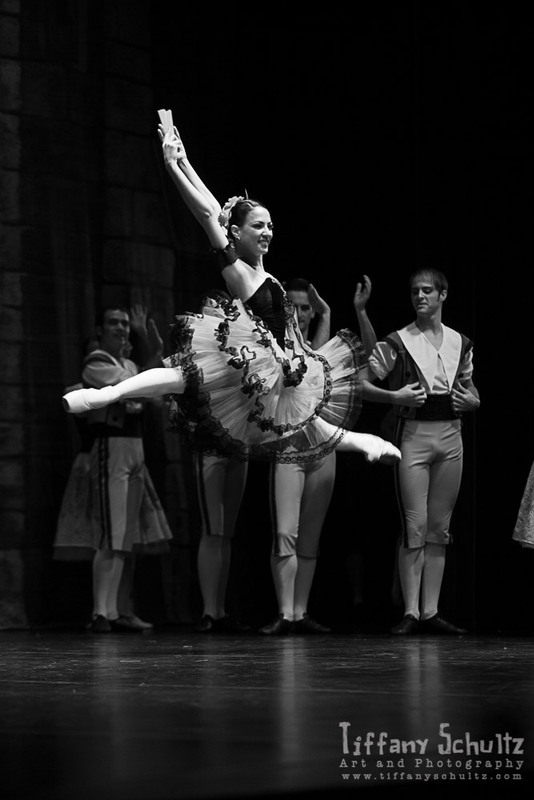 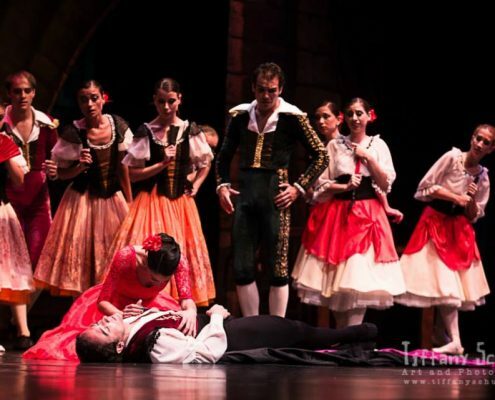 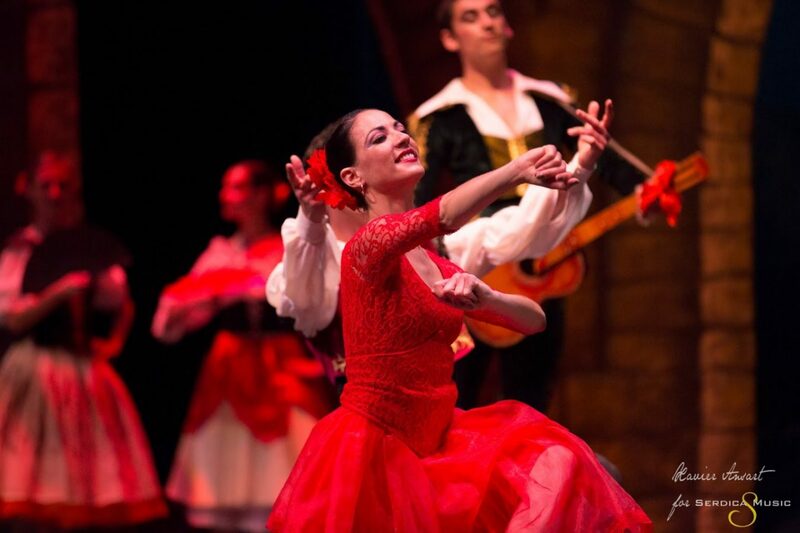 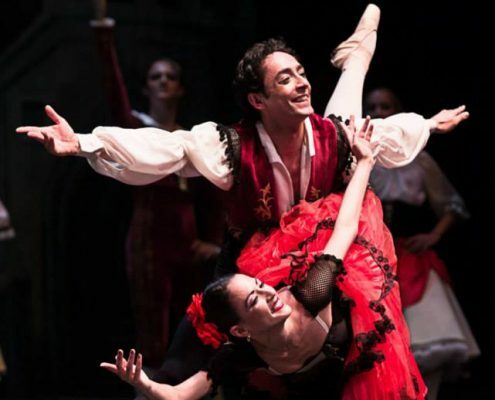 May 2013 principal guest dancer in Skopje, with National opera of Macedonia to dance Kitri in Don Quixote. 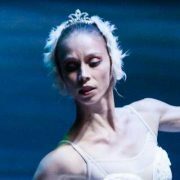 June 2013, Arianne was invited to dance at the 10th annual ANNIVERSARY OF “DANCE BENEFIT GALA” ARDT FOUNDATION in Holland, Amsterdam. 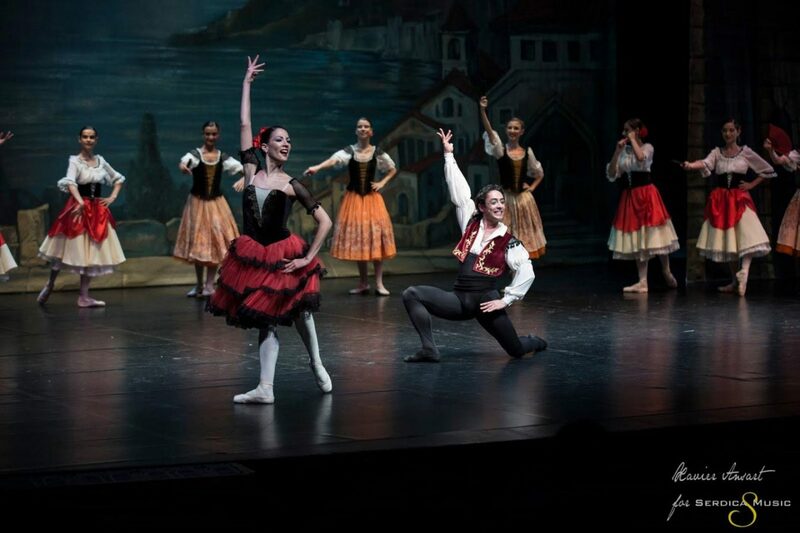 July 2013 Arianne is invited to dance at the closing of BALLET GALA of the Bucharest International Competition 2013. 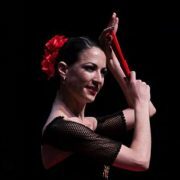 July 2013 is invited as a guest teacher for workshop and to dance at LEVANTE DANZA FESTIVAL 2013 in Italy. 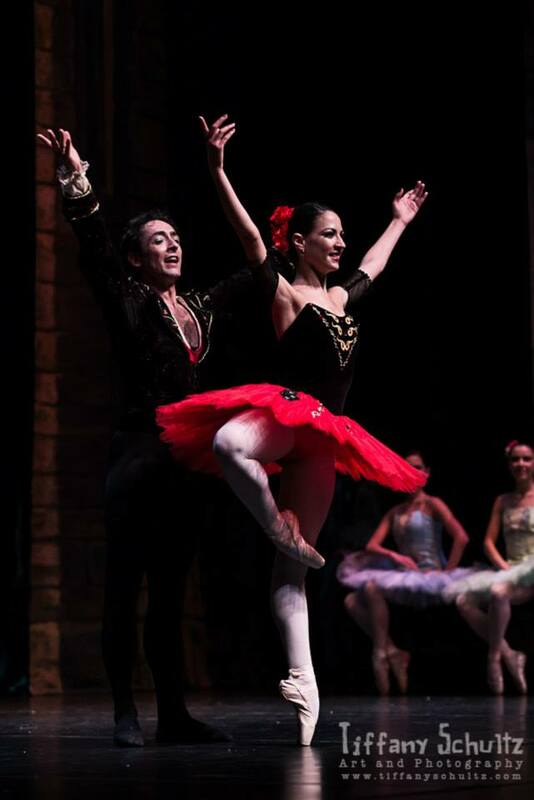 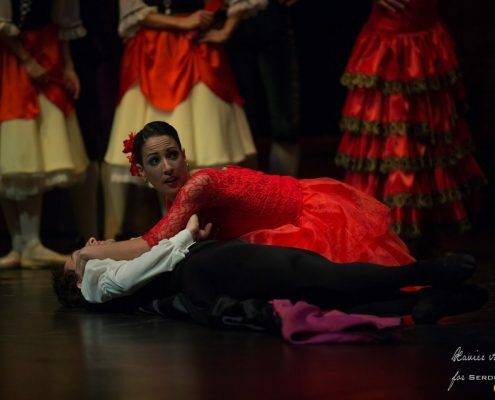 July 2013 is invited to dance at VALENCIA INTERNACIONAL BALLET GALA 2013, SPAIN. 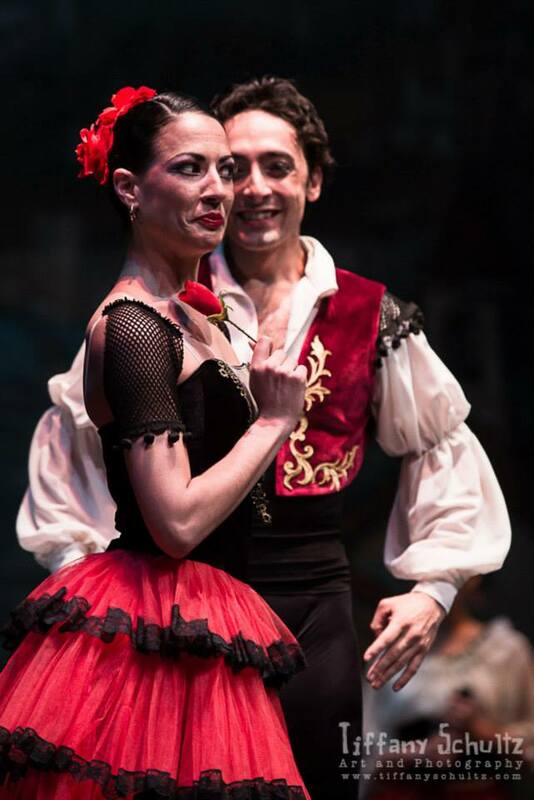 August 2013 Arianne received, from CARLA FRACCI, the carrier award at “PREMIO CAPRI INTERNATIONAL 2013”. 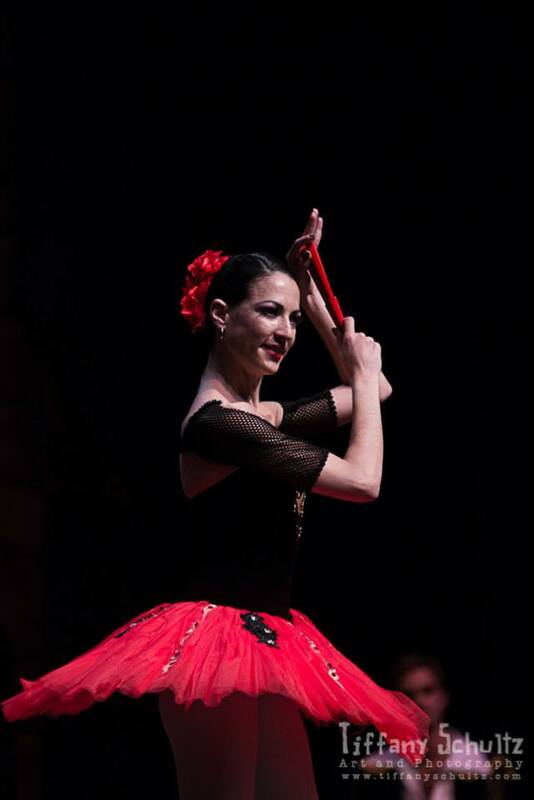 September 2013, Arianne also received the carrier award of Montecatini City during the festival “PASSI DI TALENTO” Montecatini 2013. 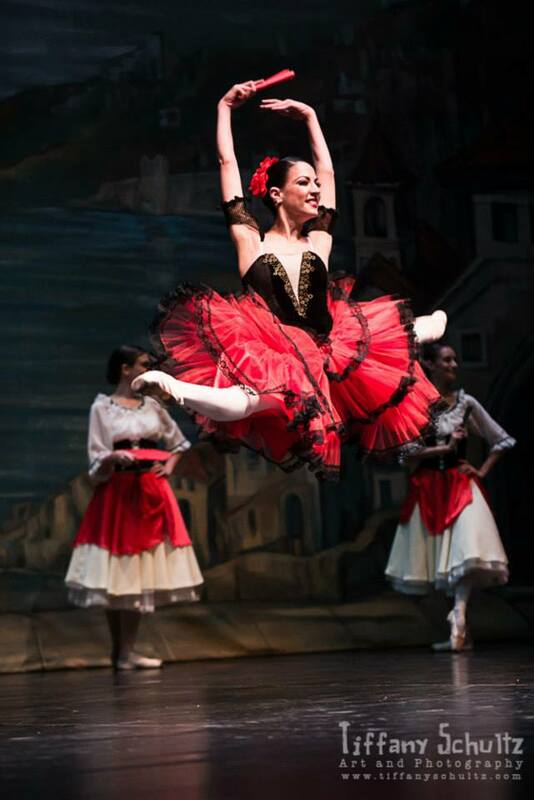 October 2013 she’s invited to perform at the Slovenian National Ballet Gala 2013, Maribor. 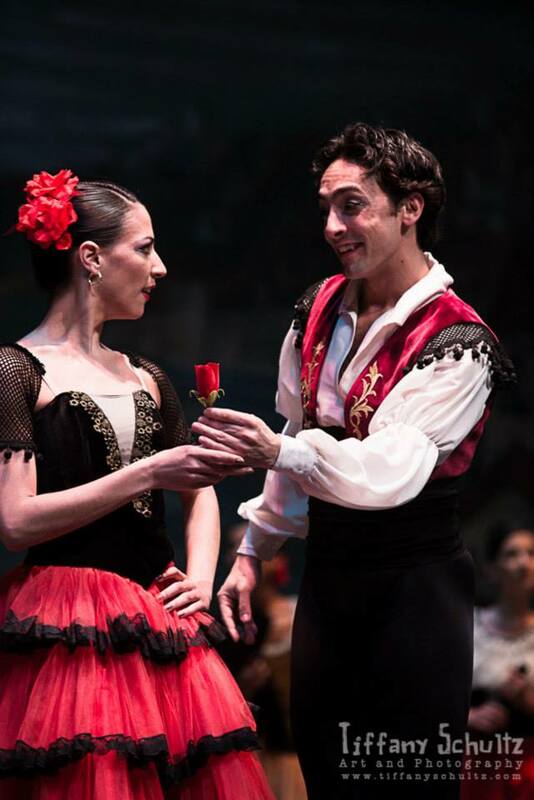 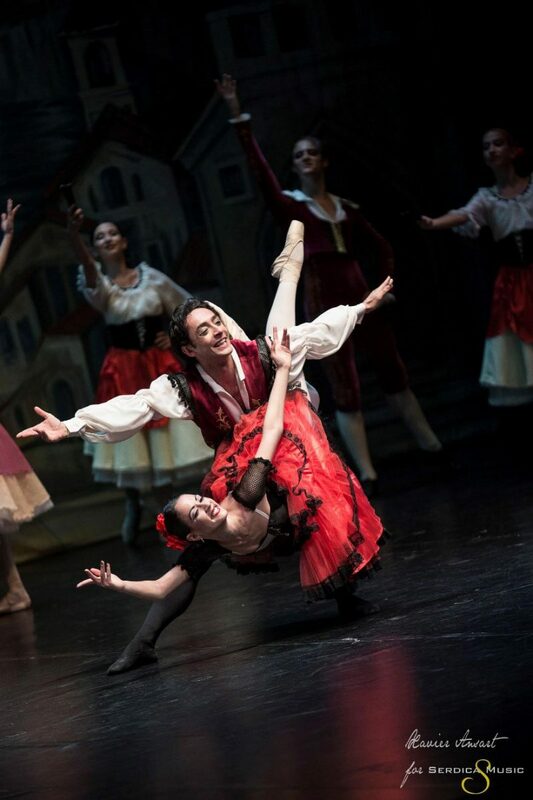 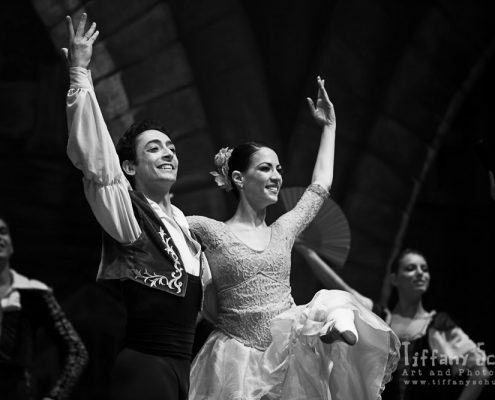 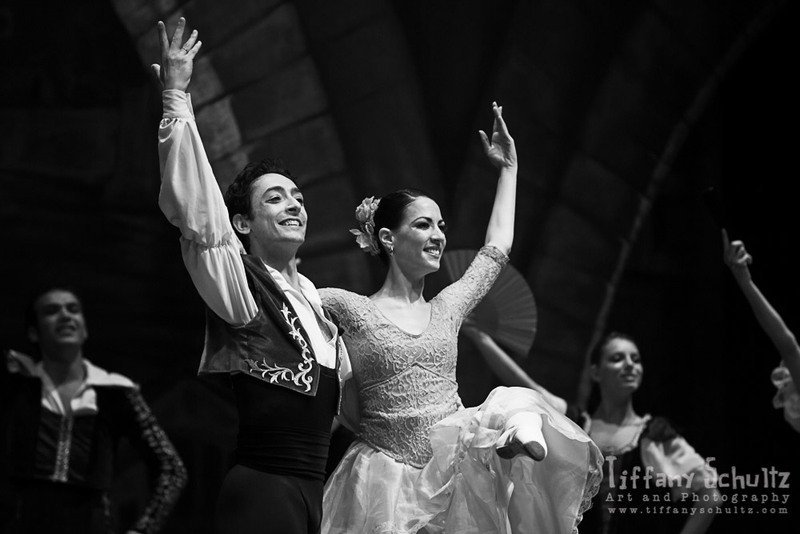 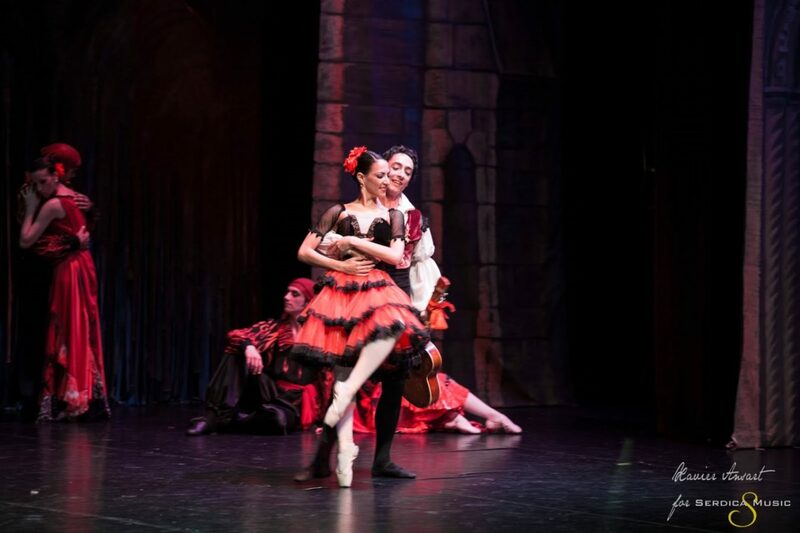 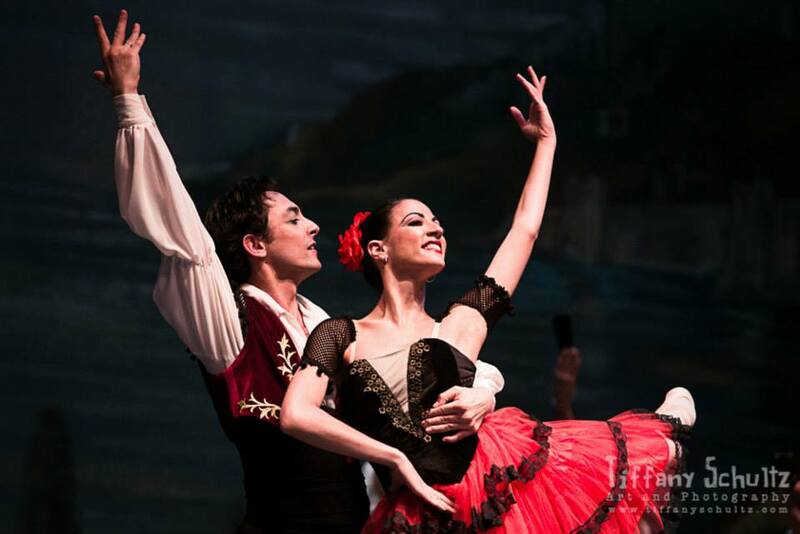 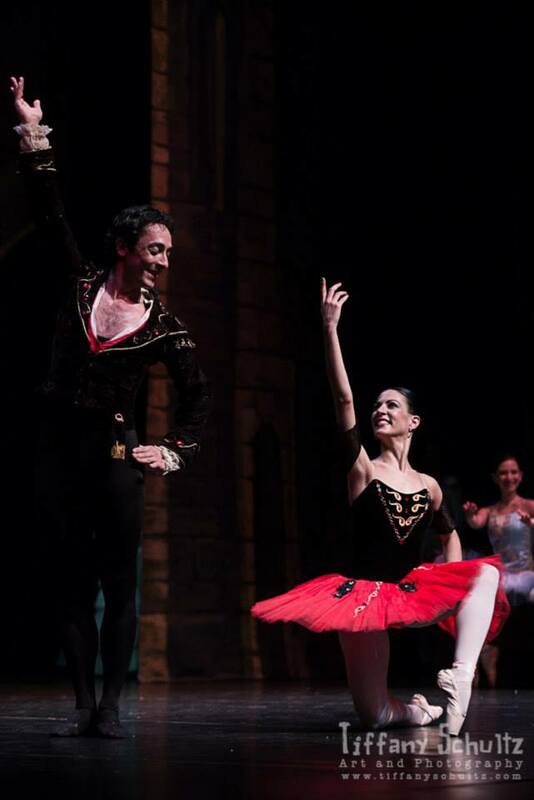 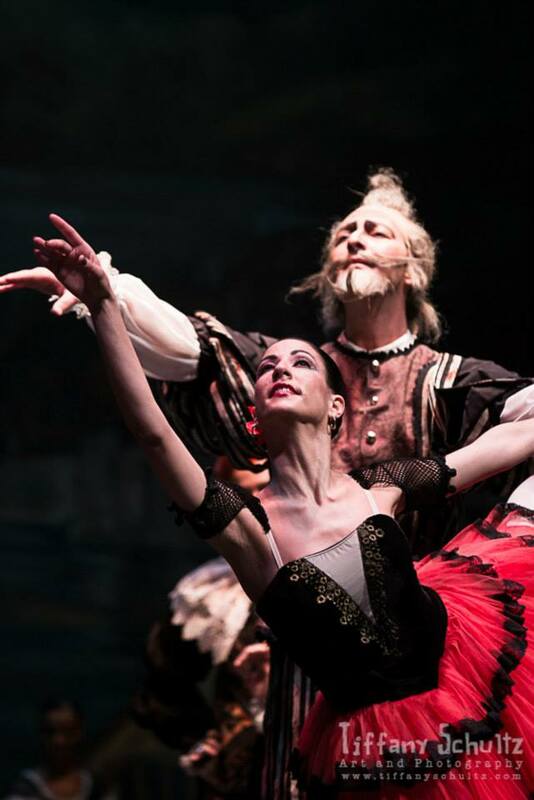 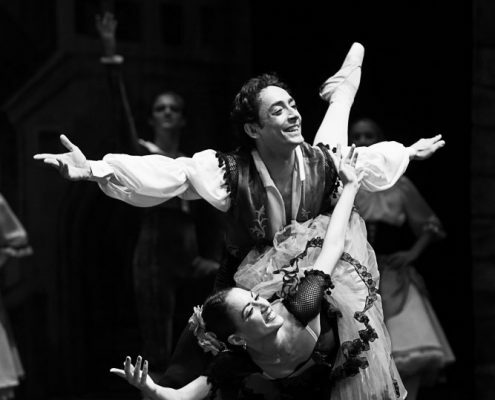 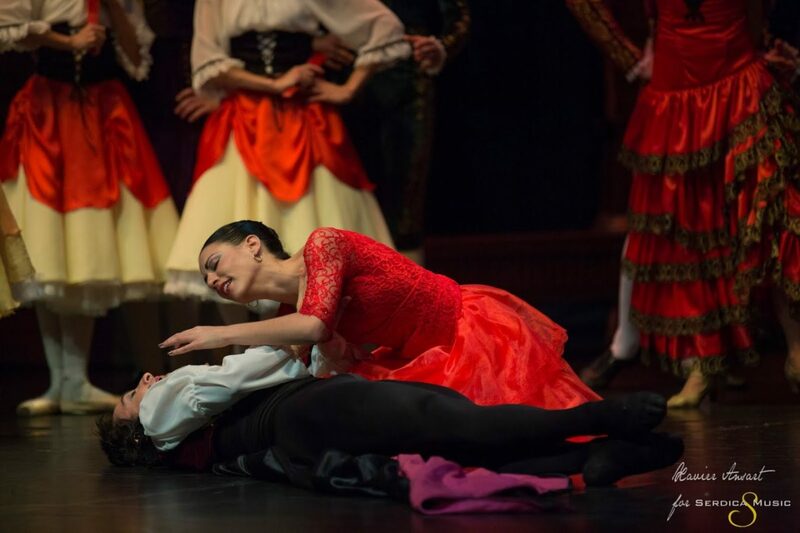 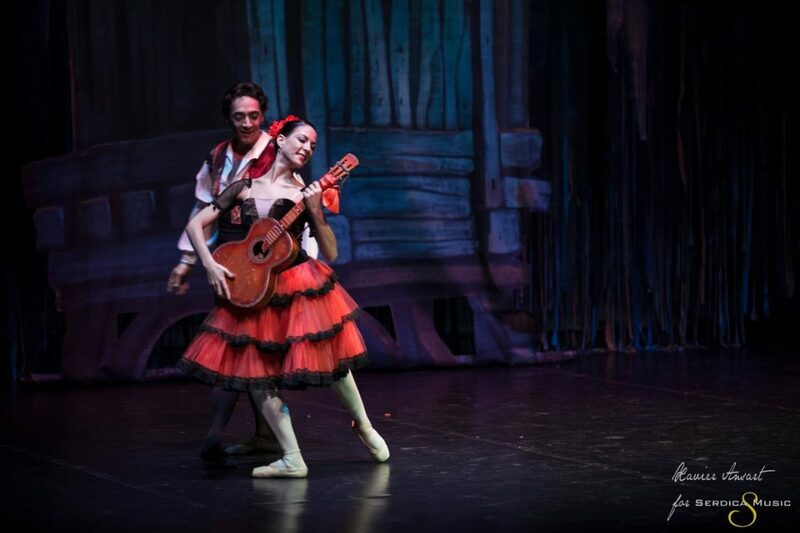 November 2013, along with her partner Vittorio Galloro, she performed at the Russian ballet festival, in Saratov, the full performance of “Don Quixote” at Saratov Opera House, in the role of Kitri. 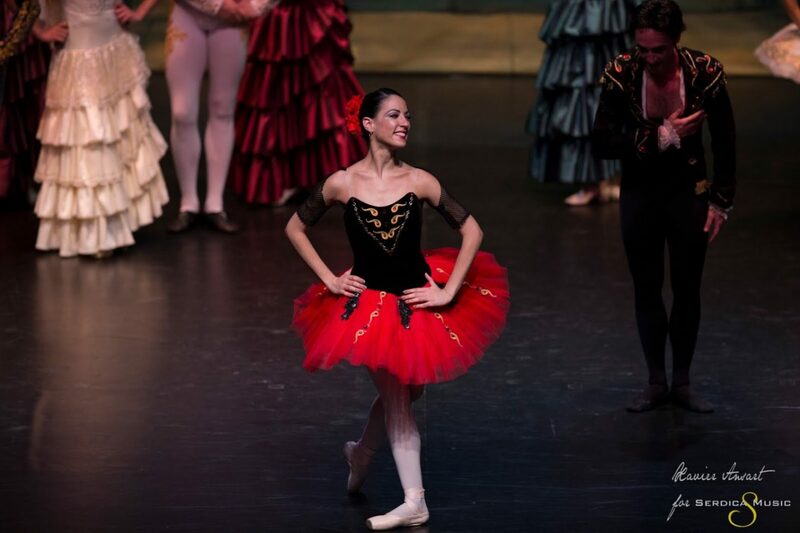 Arianne attended as a performer the International ballet gala “RISING STARS”in Parma Teatro Regio. 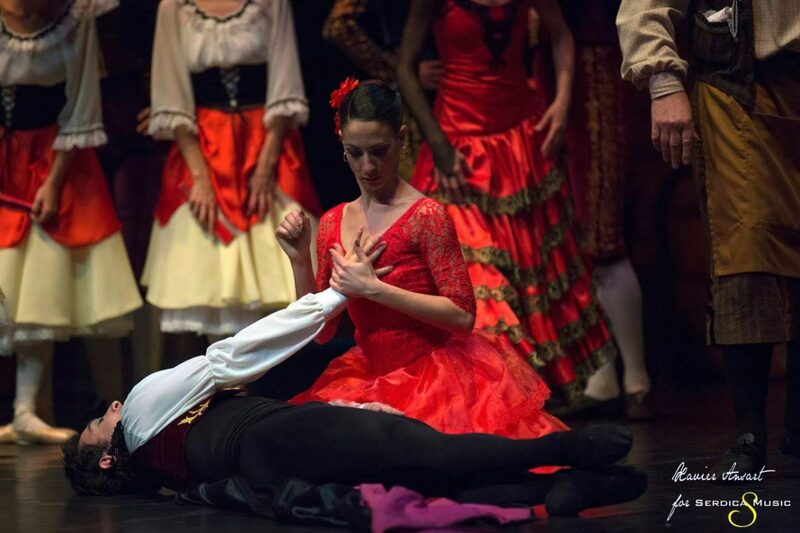 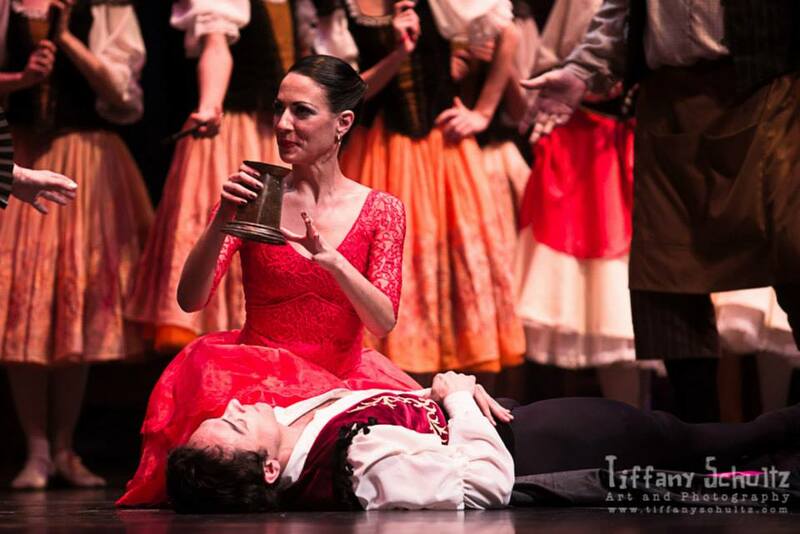 In December 2013 Arianne danced at SALIERI DANCE FESTIVAL 2013, LEGNAGO, VERONA. 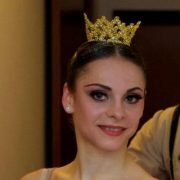 January 2014 Arianne was invited at Milan for the international ballet gala “STARS OF BALLET”with many principal dancers of the important ballet companies worldwide. 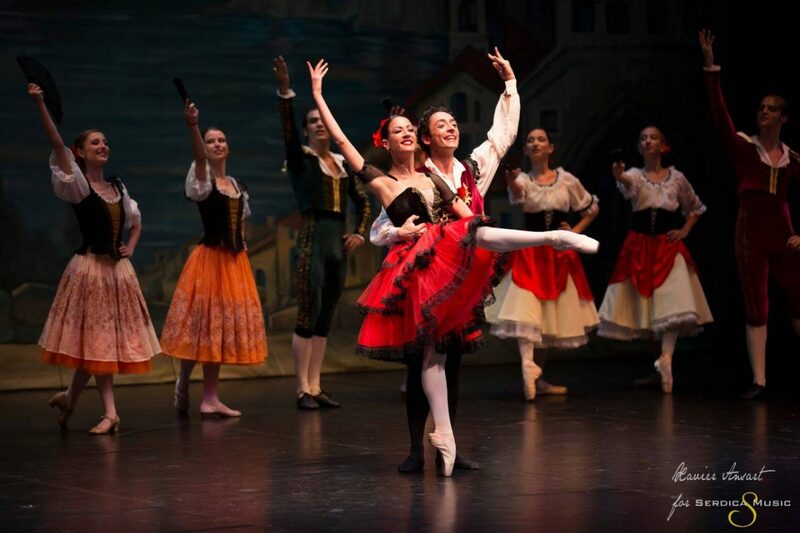 March 2014, Arianne is invited to dance in Russia at a prestigious ballet gala called “WORLD BALLET STAR Perm 2014”. 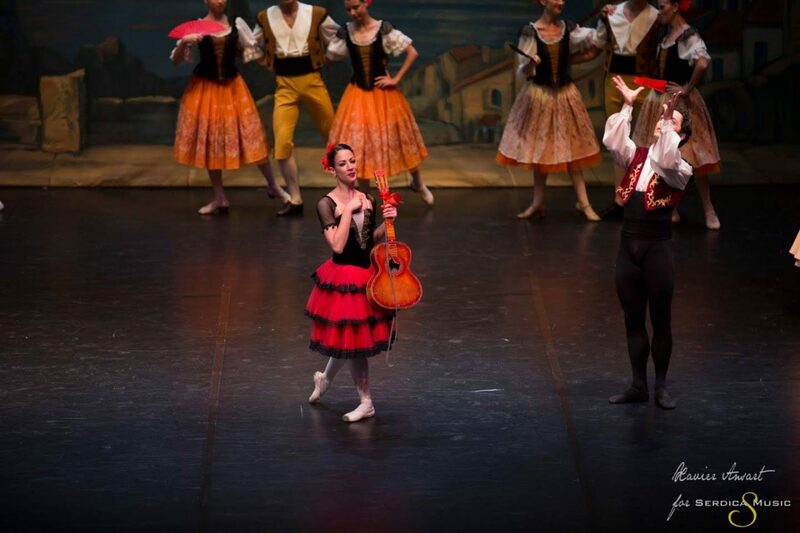 May 2014, Arianne is invited to dance at the Prague State Opera at “Miroslav Kura Ballet Gala” and in July performed there as well at for World Ballet Stars Prague, 2014. 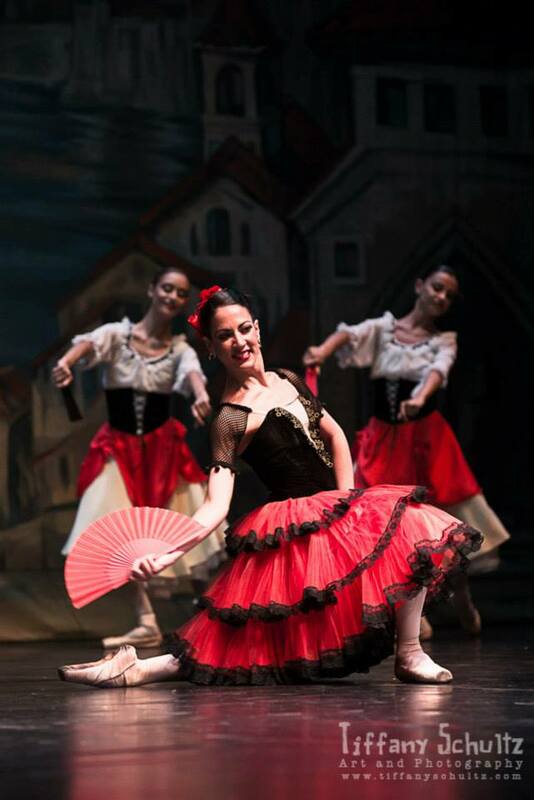 June 2014, Arianne danced at “SEGOVIA DANCE FESTIVAL 2014“ Spain, gala performance with principal dancers of National ballet of Cuba. 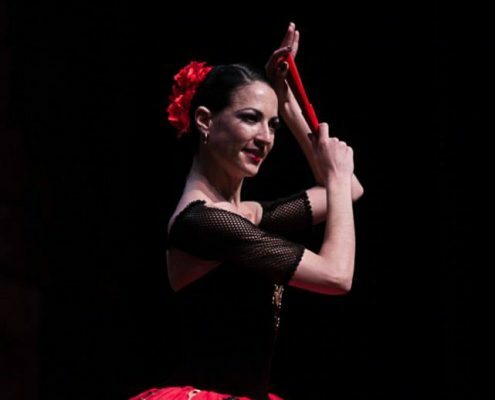 In July 2014, Arianne is invited to dance at JESOLO DANCE FESTIVAL 2014, dancing a pas de deux “OBLIVION” tango from Astor Piazzola music, choreographed by Eriberto Verardi. 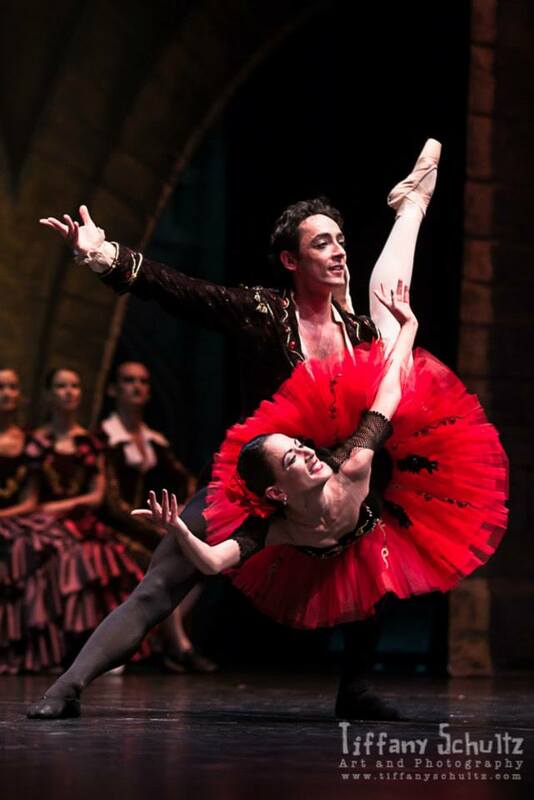 July 22nd – 23rd, 2014, Arianne is invited at ballet gala ”THE GREAT PAS DE DEUX” with principal dancers of “La Scala”Milan and Opera of Roma. 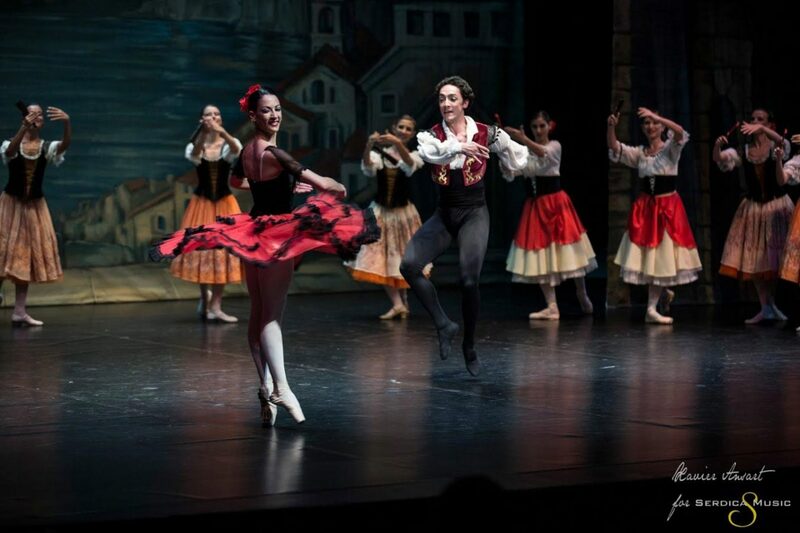 August 3rd 2014, Arianne is invited at opening gala of “PIRAN DANCE MUSIC FESTIVAL 2014”, Slovenia and in the same place she attends as a guest lecturer at DANCS SEMINAR PIRAN. 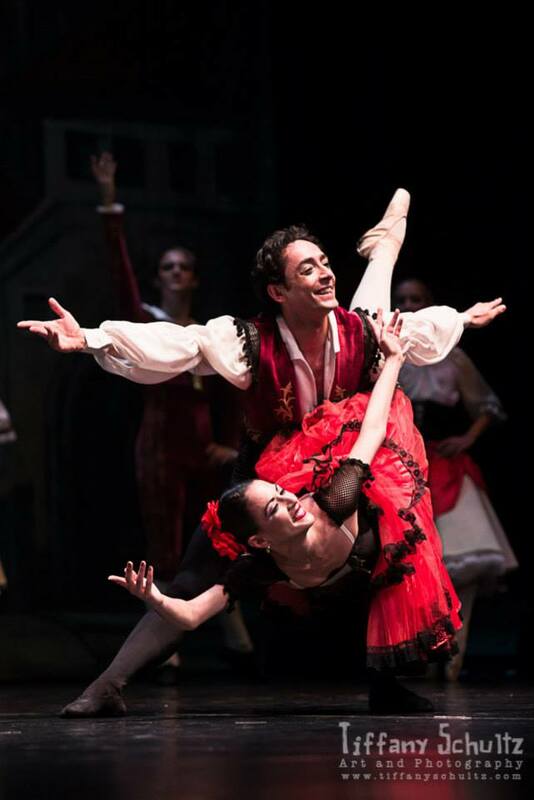 On the 16th of August she danced during the closing gala of the festival the pas de deux ”ROMANCE”, choreographed by John Blikendaal. 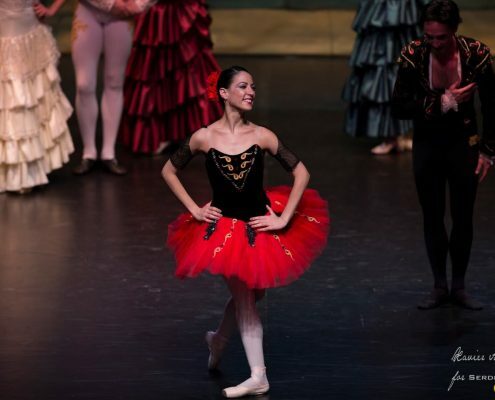 August 25 2014, Arianne is invited at the Prague State Opera at the annual “Summer Ballet Gala” under the coordination of Jana Kurova. 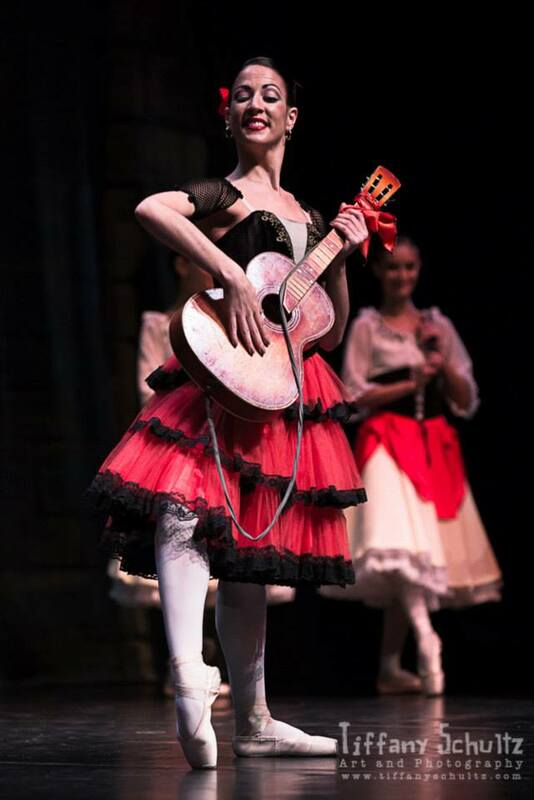 November 2014, she was a Guest Principal Dancer at Ballet Opera Theater in Saratov, Russia to perform the full Nutcracker performance. 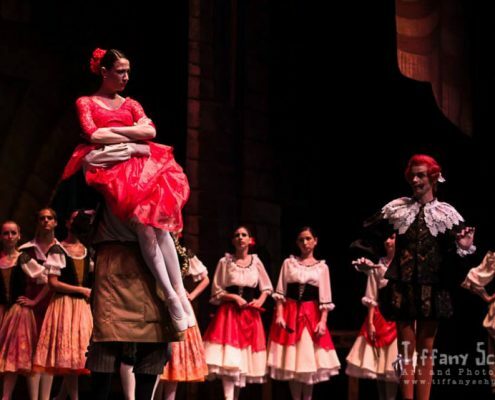 November – December 2014, Arianne was a guest Etoile with national company in Italy, direct by RAFFAELE PAGANINI to perform in more than 30 cities around Italy for THE NUTCRACKER show, full ballet performance. 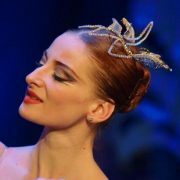 In December 2014, Arianne participated at the Ballet Gala ”World Ballet Stars in Saratov” Russia with “Le Corsaire”and “Arlecchinade” PDD. 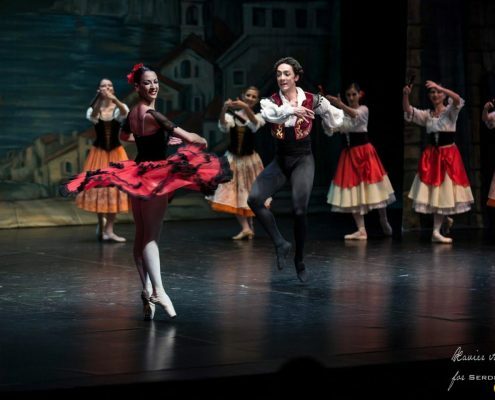 Arianne is currently an international guest principal dancer in many of the State Operas of Europe such as: Rome, Napoli, Opera of Bucharest, Opera Perm, Opera Sofia, Opera Macedonia, Opera Maribor, Opera Ljubljana, Saratov Opera Theater, Russia.